“I feel everyone has a right to exist. I just don’t feel that anyone has a right to exist at the disposal of another group,” she added. “In your view, does that include Israelis in Israel?” Hoover followed up. “I believe that all people have the right to exist and that Palestinians are also suffering with a great crisis, and that there are other Jewish scholars who will sit here and say the same,” an annoyed Mallory replied, before ordering Hoover to “move on” from her question. Hoover, expressing dissatisfaction with Mallory’s dodging of the question, noted that “scholarly knowledge” isn’t required to understand Israel’s right to exist. “Again, I believe everyone has the right to exist,” the Women’s March co-leader shot back. 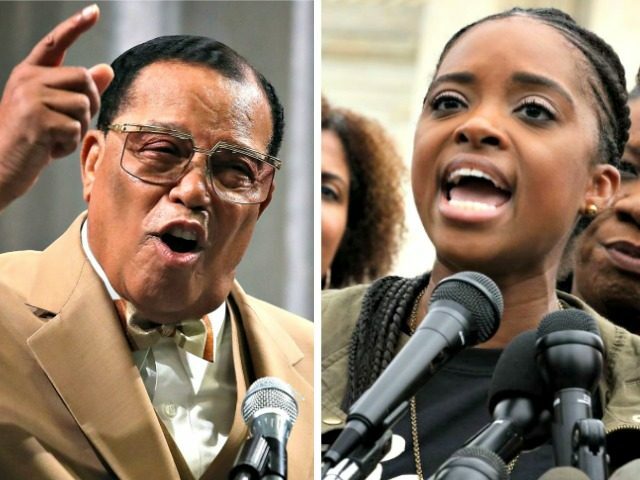 In recent days, Democratic National Committee and several high-profile progressive advocacy groups have pulled their support in response to Mallory’s defense of anti-semite and racist Nation of Islam head Louis Farrakhan in an interview with The View on Monday. Despite losing more than half of its nearly 500 sponsors, the Women’s March is still scheduled to take place on Saturday on the National Mall in Washington, D.C.